As the sometimes praising, sometimes vicious reviews of his books indicated, Hutchinson’s relationship with the scientific elite was complicated. It varied from warm appreciation (on both sides) to outright rejection (again, on both sides). You might suspect this was because his religious beliefs interfered with the increasing secularism of science around the turn of the twentieth century. But that’s not really the case here. As Science and Religion: Exploring the Spectrum’s own Bernard Lightman has observed, Hutchinson’s Christian faith indeed played a subtle but important part in his popular science writings: he depicted the Earth’s geological history as a tome written by God, transcribed ‘with the impartiality of a recording machine’. His books were also peppered with theologically-tinged quotations, both from the Bible and from pious scientists, that reminded the reader to look beyond the scientific details for deeper spiritual meaning. Still, he wasn’t preachy. Hutchinson’s books were intensively researched and often based on correspondence with the leading practitioners in their respective fields. They were intended to be scientifically cutting-edge. Hutchinson didn’t waste many words trying to convince readers that science and religion were compatible. To him, they were part of the same enterprise. If the Bible appeared at any point to contradict science, you simply had to remember that the authors of the Bible ‘wrote as mystics, and addressed themselves as such’. ‘Religion’, he argued, ‘can only be understood from the standpoint of the mystic’. He appears to have found comfort in the classic Renaissance confession, Thomas Browne’s Religio Medici (Religion of a Doctor, 1643), which intimately explored personal faith. Hutchinson was also a fervent populariser of the theory of evolution. He began as a supporter of Darwin’s hotly-debated mechanism for evolution—natural selection—although this began to wane and Hutchinson soon hoped for a more optimistic view of nature. His own belief was that the forms of earlier species somehow foreshadowed later ones. In Hutchinson’s ‘Law of Anticipation’, extinct sea reptiles like the Ichthyosaurus, for example, somehow predicted the later evolution of whales. When the reviewers failed to pay much attention to this metaphysical aspect of his books, he even wrote into The Spectator to complain. Hutchinson came to consider evolution by directionless natural selection as ‘a narrow view of the beauties and wonders of creation’, and believed it had been refuted by the early-twentieth-century developments in genetics. While it was undoubtedly influenced by his religion, a lack of faith in natural selection hardly made Hutchinson unique during the period that biologist Julian Huxley dubbed the ‘eclipse of Darwinism’. If not religion, then what divided Hutchinson from the scientific establishment? The key issue was research. Many of those specialists whose works Hutchinson magisterially evaluated (and sometimes dismissed) in his popular books, the kind who wrote for heavy-duty journals like Nature, resented such impertinence. The somewhat polemical Prehistoric Man and Beast, in particular, was attacked by critics for its rudeness towards the very scientists who had provided much of its content. Hutchinson was particularly dismissive of their boring literary stylings. He preferred more flamboyance in his science writing and filled his books with quotations from his favourite novels and poems. Specialists wondered exactly why Hutchinson felt he had earned the right to take such a high tone. After all, he published almost no technical scientific papers in his lifetime. 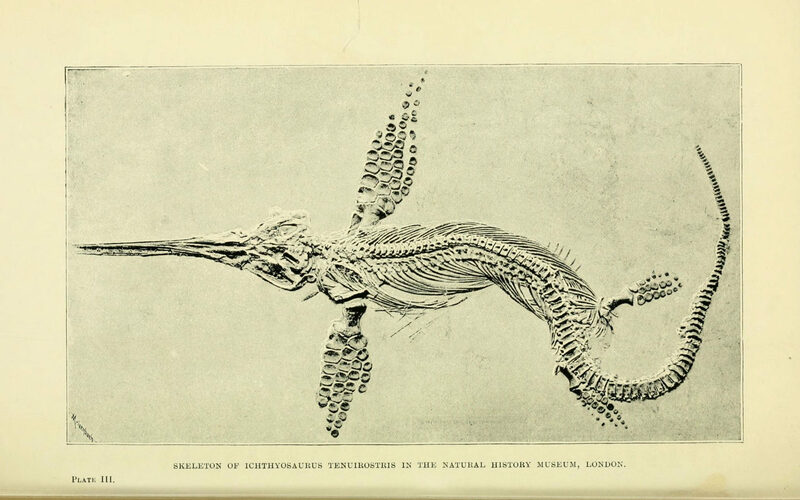 One of the few was the succinctly-titled ‘Observations on the Reconstructed Skeleton of the Dinosaurian Reptile Diplodocus Carnegiei as set up by Dr. W. J. Holland in the Natural History Museum in London, and an attempt to restore it by means of a Model’ (1917). The initial rejection of this paper revealed to Hutchinson the fault lines between his ideal of wider participation in science and that of the leading Geological Magazine. Although it was, in fact, soon published, Hutchinson’s exuberant study of the Diplodocus stood out a mile alongside the sober neighbouring articles. In itself, Hutchinson’s religion was no obstacle to his participation in the scientific culture of his time. Instead, it was his distaste for over-specialisation, compartmentalisation, and highly technical writing that alienated him from leading scientists. His ideal was that of an earlier period, when science, religion, and literature were far more intertwined. Most of the geologists, anthropologists, and archaeologists Hutchinson moved with were happy to accommodate him—to an extent. But for them, science had moved on. 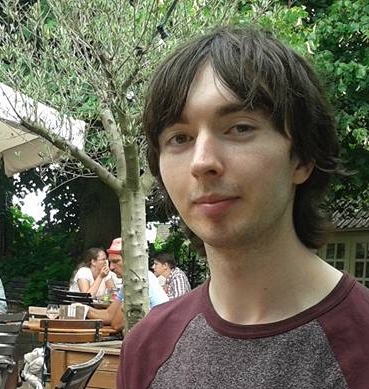 Richard Fallon is a Midlands3Cities-funded doctoral researcher based primarily at the University of Leicester, and secondarily at the Natural History Museum, London. His thesis explores dinosaur palaeontology in Anglo-American popular culture in the decades around 1900. For more follow Richard on Twitter @nuovo_riccardo.